ExplainEverything is an app to demonstrate knowledge and understanding of concepts and ideas. 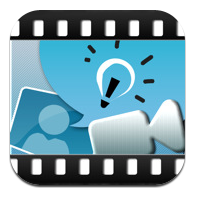 It allows users to write, record and capture their ideas and thoughts. Once you launch the app you will see a screen like the one on the left. Select the ‘+’ in the top lefthand corner to make a new presentation. You have the choice to chose from three colour templates. Once you have chosen your template you can now start creating.